First came the the BMW 4 Series Coupé and Convertible, and then the Gran Coupé – for those that wanted more than two doors and didn’t want a 3-series sedan (!? )… or GT. Hmm that doesn’t make sense, but here we are. 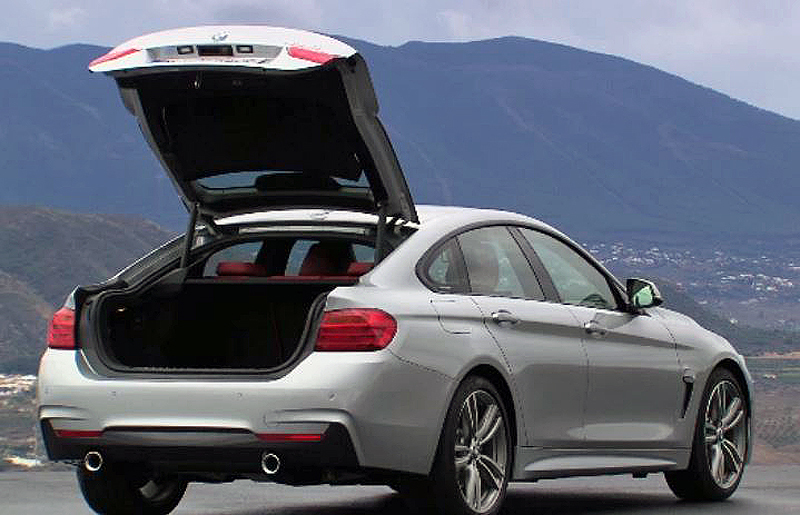 According to BMW the “4 Series Gran Coupé combines the sleek look of a two-door coupé with the functionality provided by four-doors and expansive spaciousness, including a wide-access luggage compartment.” To you and I that means – it’s a 4-door hatchback. I know I’m getting old, but it don’t look like a 2-door coupe to me – it looks like a 4-door sedan with a bonus huge rear hatch that looks like a trunk not a hatch. It’s the sedan version of the coupe version of the sedan…or a 2-door coupe with an extra 3 doors! It has exactly the same dimensions as the two-door coupé, but the roof is 12 millimetres higher, 112 mm longer and gently stretched allowing it to flow smoothly into the rear quarter panels and boot lid. So it’s a sedan then? 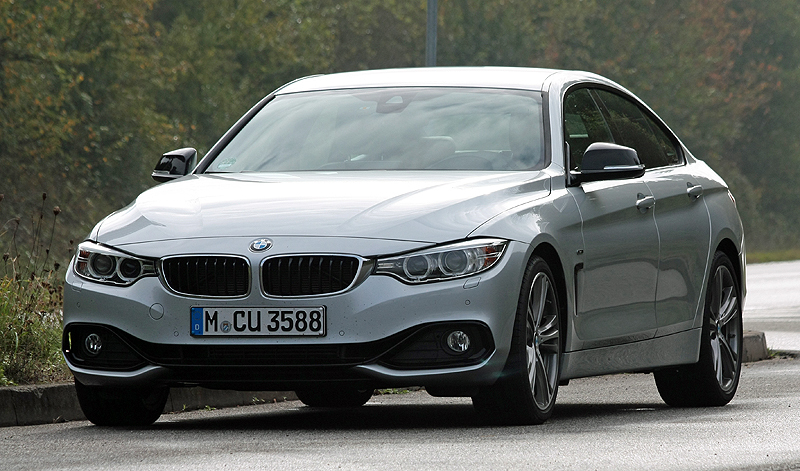 According to BMW it is: BMW’s first four-door coupe in the premium midrange class is truly exceptional in its segment. 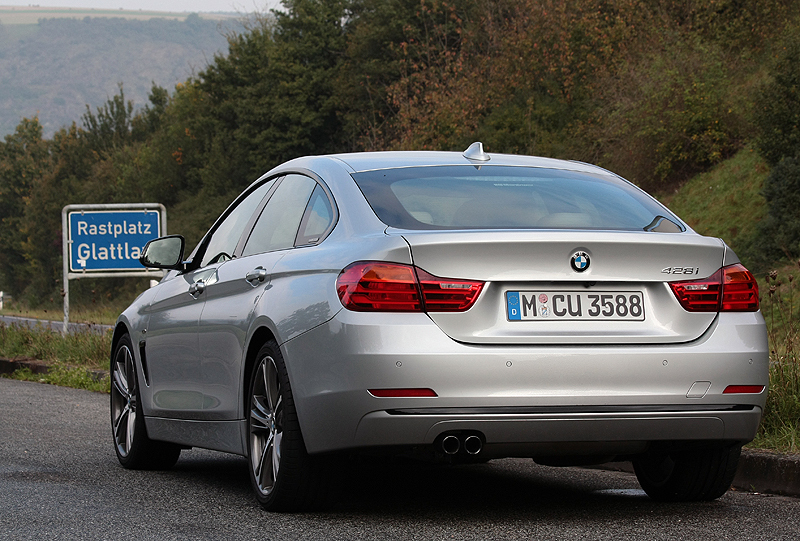 Continuing with the Press Release: “When compared with a two-door coupé, theBMW 4 Series Gran Coupé offers passengers easier access when entering or leaving the vehicle thanks to the four-door configuration.” By definition, that makes it a sedan – no? BMW’s goal is to make the 4 Series Gran Coupe an exclusive vehicle with many unique elements. 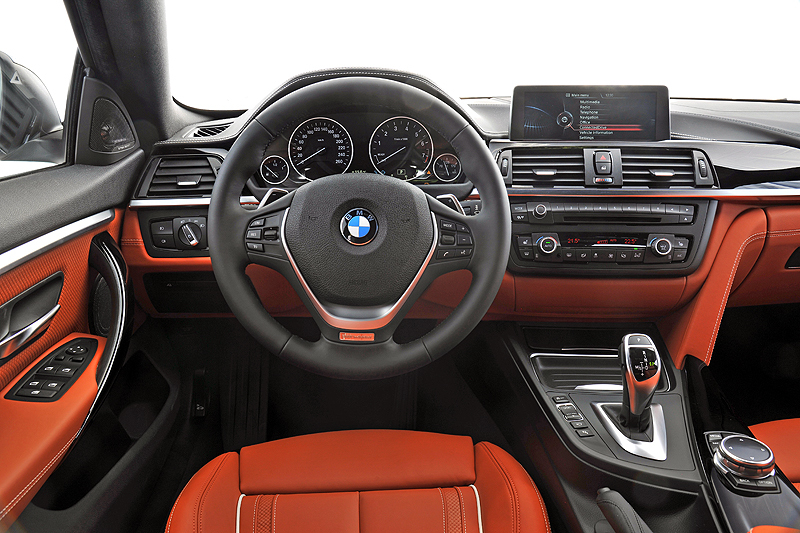 For example: the BMW Individual colours available for the BMW 4 Series Gran Coupe guarantee a lustrous appearance with an intensive visual depth. A special pigmentation ensures a complex play of colours. Depending on light conditions and perspective, various different nuances are created. Also available is a matt-finish paint that is very popular in Germany right now. To these eyes and everyone that took the time to look at it – beautiful. Driver’s position is perfect. 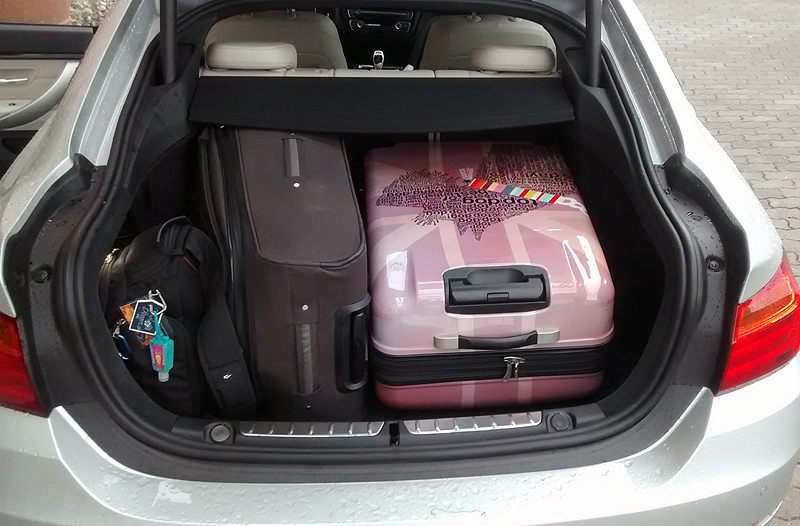 Set the seat once and it’s good to go for a week of spirited driving. There are three memory seat positions too. Everything falls to the hands exactly as a driver needs it. Help from the front passenger is very convenient too – so you can concentrate on driving, leaving the mundane stuff to the co-pilot. Bonus: The SatNav allows the passenger to re-set/programme it while on the go! 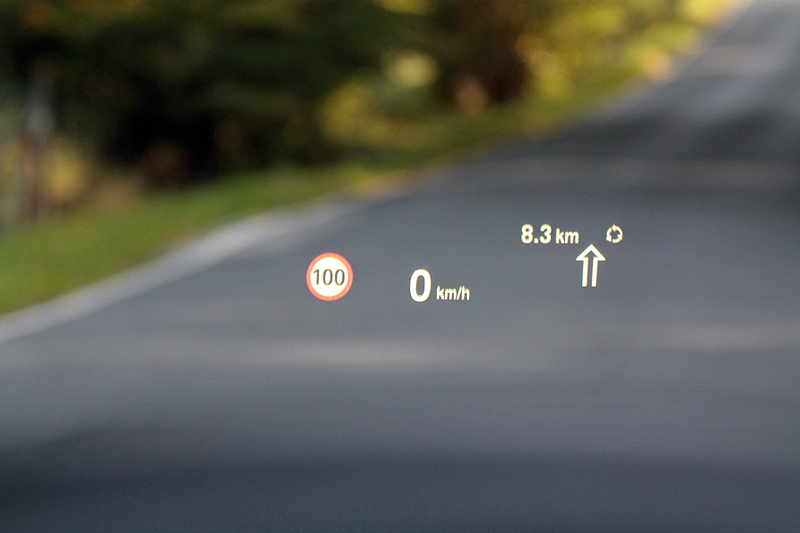 The Heads-Up Display is outstanding – superior to anything I’ve encountered to date. Information for the driver is first-rate with turn directions being extremely accurate. There’s a bar that shrinks to let you know you’re getting close as well as declining numbers. The anthracite roof lining in the test vehicle was black, which would sound like an odd combination, but was in fact a perfect complement to the Cashmere Beige leather. The black material also covered the A, B and C pillars, making it quite unique not only to look at, but also it removed any distraction and actually improved visibility – I didn’t realize how much of a difference it made until I got into another car after driving the 428i for a week. According to the Manufacturer …. Steering input is by far the best I’ve ever encountered. Perfectly weighted and lock-to-lock is only about one full turn of the wheel. Maximum speed is 233 kph…challenge accepted… and met. Rear door can be opened or closed with the movement of a foot. WARNING if you shuffle to the side as you’re loading the trunk, the lid will come down and bash you on the head! I got a nasty bump and bruise from it. I don’t care how BMW want to promote this car, but one thing is for sure… it’s AWESOME. I Couldn’t figure why this was ever designed and built, after-all there’s a 3-series and a 5-series sedan – the 4-series is supposed to be a coupe. It doesn’t make logical sense as to why it should exist. Doesn’t matter, because for me it is the perfect car – no matter what BMW want to call it! Even the price with all the typical extras tacked on – isn’t bad for a vehicle this good.